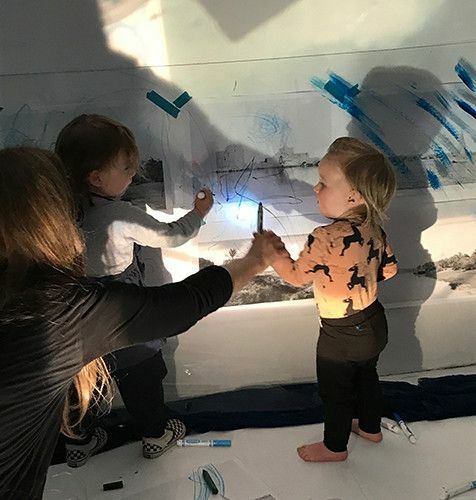 Develop creative thinking skills through art and play in this immersive workshop for very young children. Make exciting colour experiments using light and unconventional materials. The workshop will end with the creation of a collectively made suspended sculpture paying homage to the gestural lines in Monique Frydman's paintings.